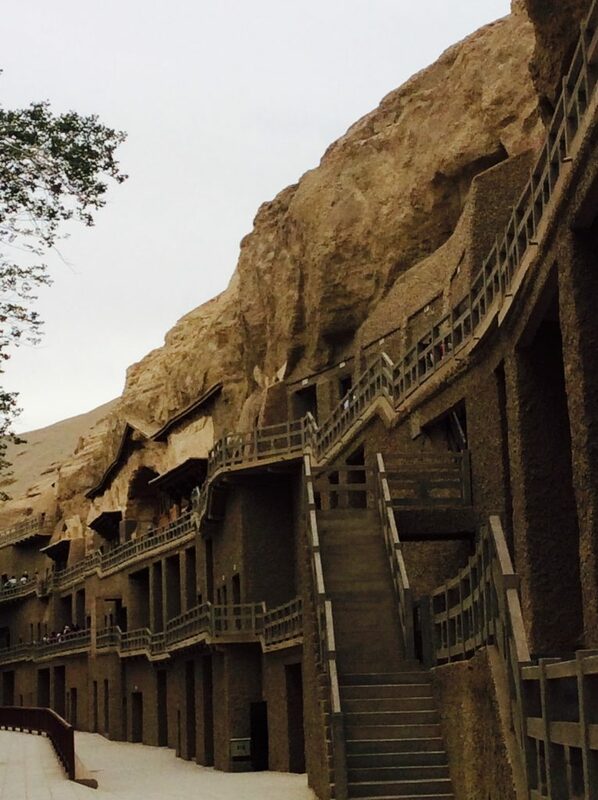 Dunhuang is an oasis in the middle of the Gobi desert. The main tourist attraction is the stupendous grottos consisting of approximately 500 individually carved caves containing Buddhist sculptures and paintings in a miraculous state of preservation, sealed up in about 1100AD and re-discovered in the early 20th Century. 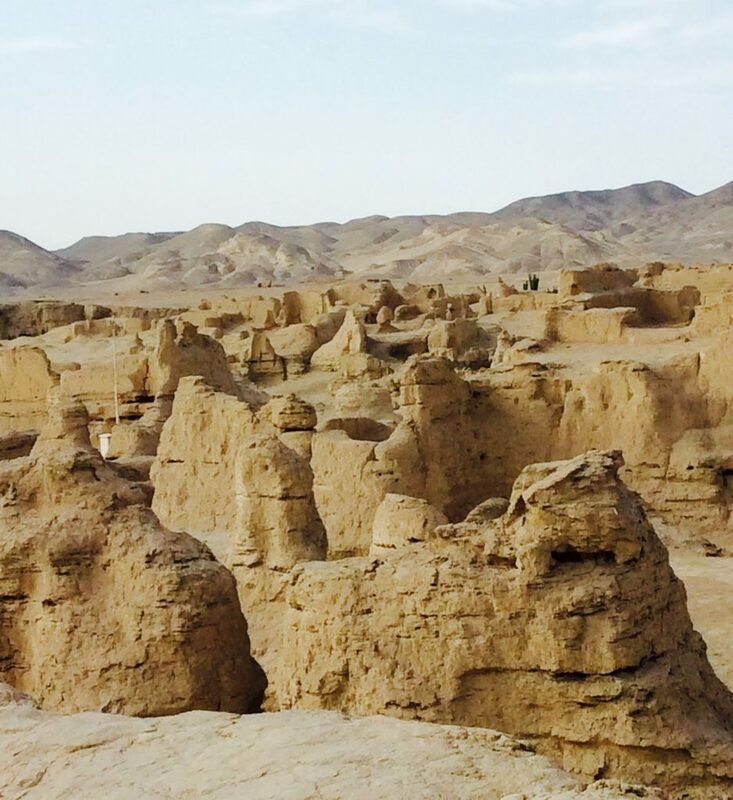 TheEye was a little wary of ‘caves’ with painful memories of school expeditions to see dripping stalactites and stalagmites, but these were a different story altogether and part of the historic Silk Road Route. 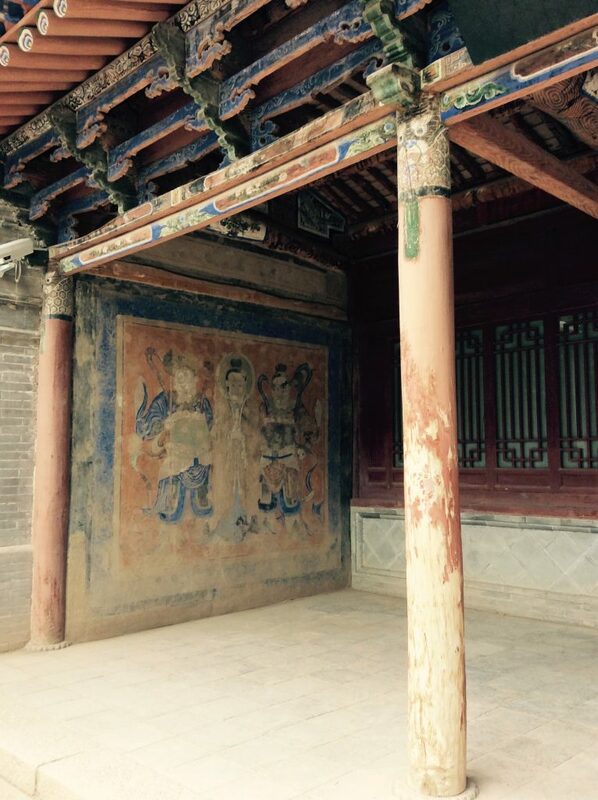 Discovered by a monk in 300 AD, they have never (amazingly for China) been restored. Some of the statues are quite awesome and the showpiece was a huge empress measuring 35.5 meters. And even more stunning, the small bust of a goddess who in the dim light had a sad expression on her face, but when a torch shone, the light literally changed it into a Mona Lisa half-smile. 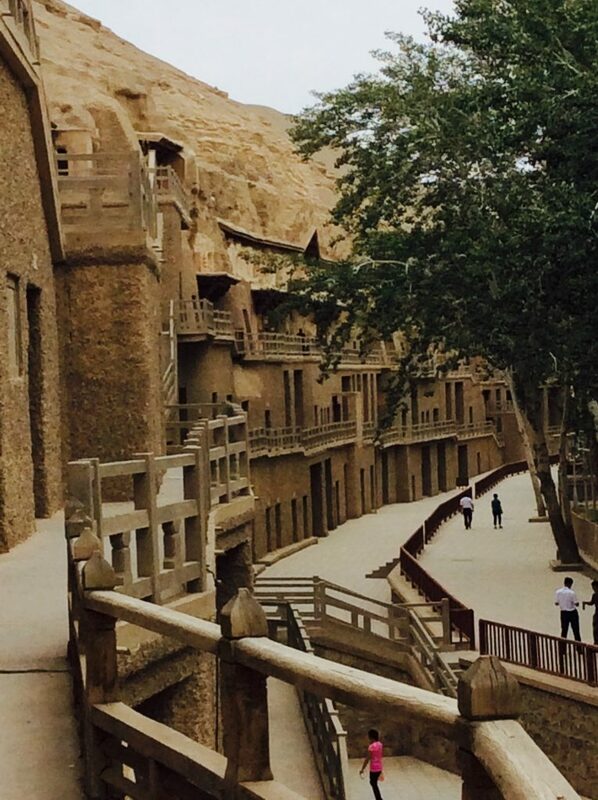 Dunhuang was a convenient stopping point for travellers on The Silk Road needing rest and refreshment on their journey. 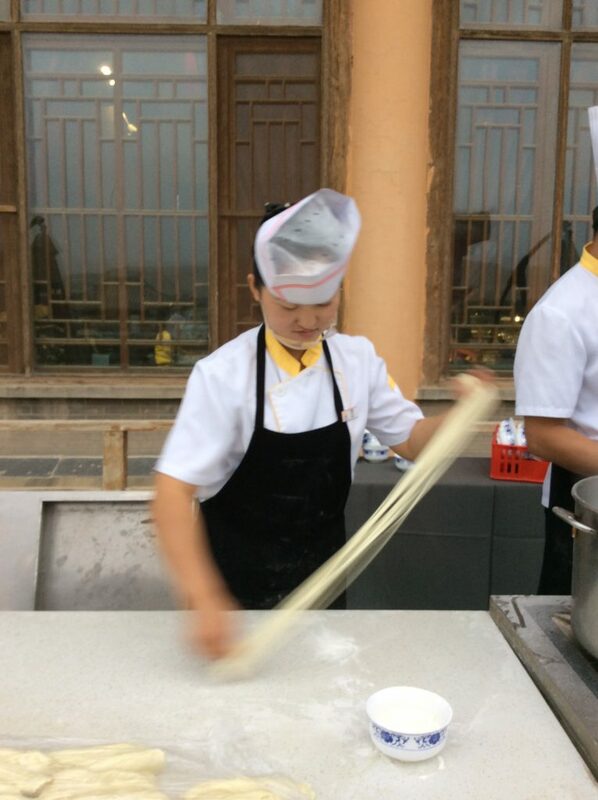 Our day in Dunhuang started with trying to navigate the hotel breakfast buffet. A challenge. 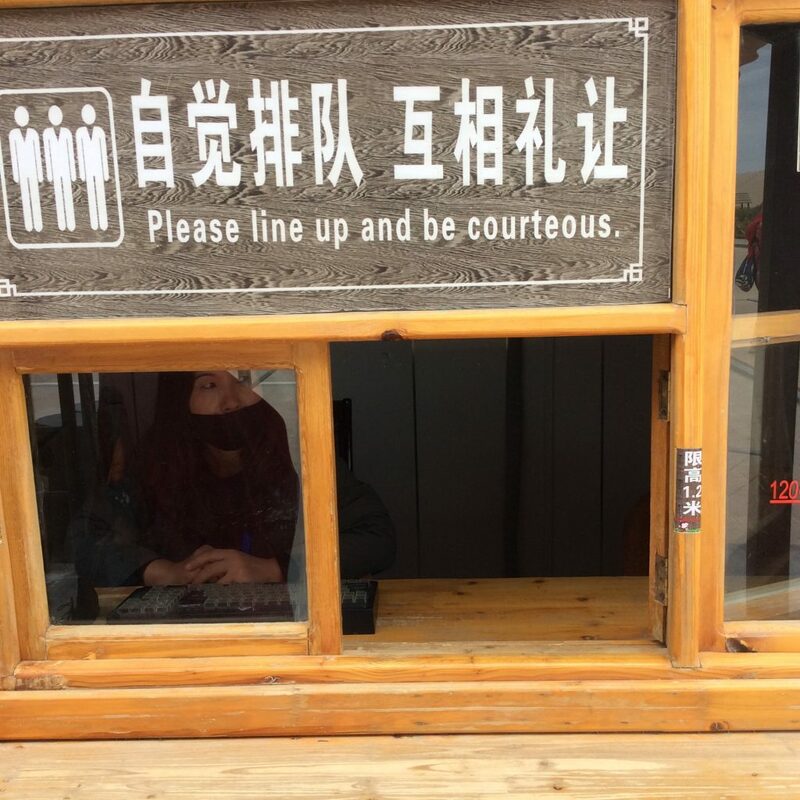 Whatever time we arrived, there were hordes of Chinese tourists piling their plates and bowls high with noodles, soup, dumplings alongside waffles, pancakes, and eggs. TheEye was fascinated watching them eat waffles, pancakes, and toast with chopsticks. They are also noisy slurpers. Giant sand dunes like these on the edge of Dunhuang. From a distance, they looked like a vast mountain range covering 800 square km (roughly the size of Singapore). More camels than in the Sahara – we were kitted out in high orange canvas boots to make walking on the sand a little easier. Huge ‘staircases’ cut into the dunes and at the edge a crescent-shaped lake. Surreal. Maybe one of the weirdest experiences of our trip was a half day’s drive with a police camera inside our minibus checking to see if we were wearing seatbelts and obeying the speed limit. On a low-speed limit stretch that should we have covered in 35 minutes, we were running 6 minutes ahead of time and had to stop for an “exercise” break. 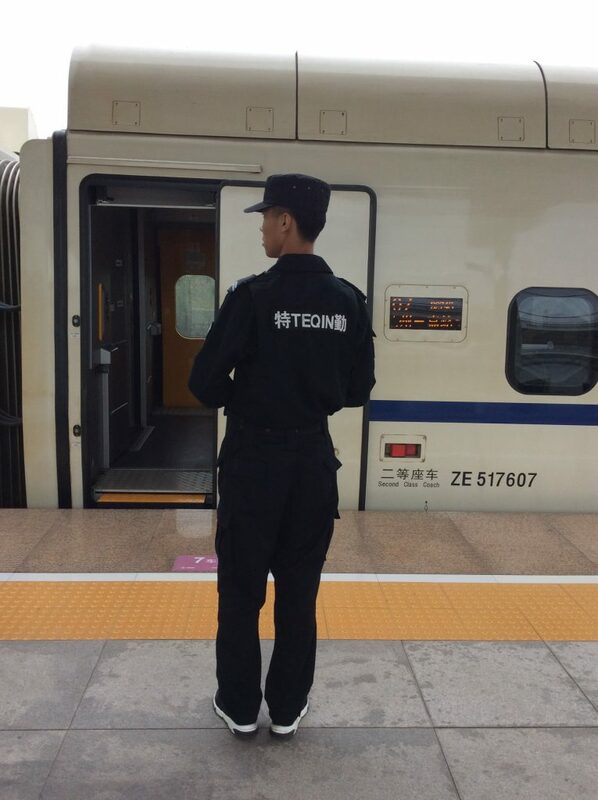 Serious police checks with passports taken away to be scanned, etc. A bit scary, particularly when our bus and driver were changed whilst we had a lunch break. The weirdest car journey: enforced ‘stop’ for travelling too fast. Our every move in and out of the car was watched. Stranger and stranger. 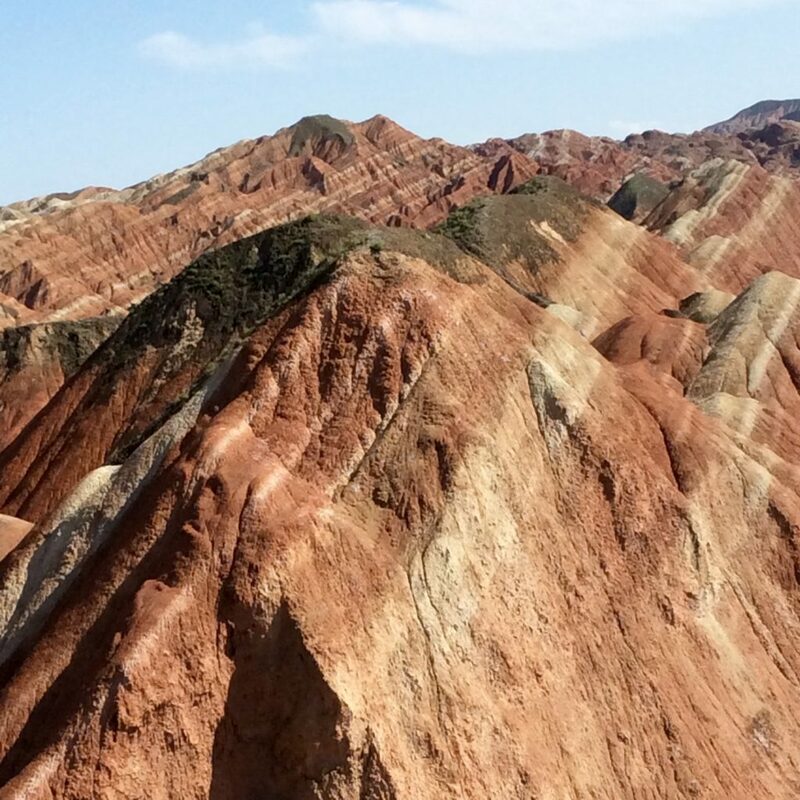 Absolutely nothing strange about our destination in Zhangye and the beautiful National Park with mountainous rocks and formations in spectacular colours. Really a work of natural art and worth the treks up to reach the top and the breathtaking views. China has so much natural (and unexpected) beauty. 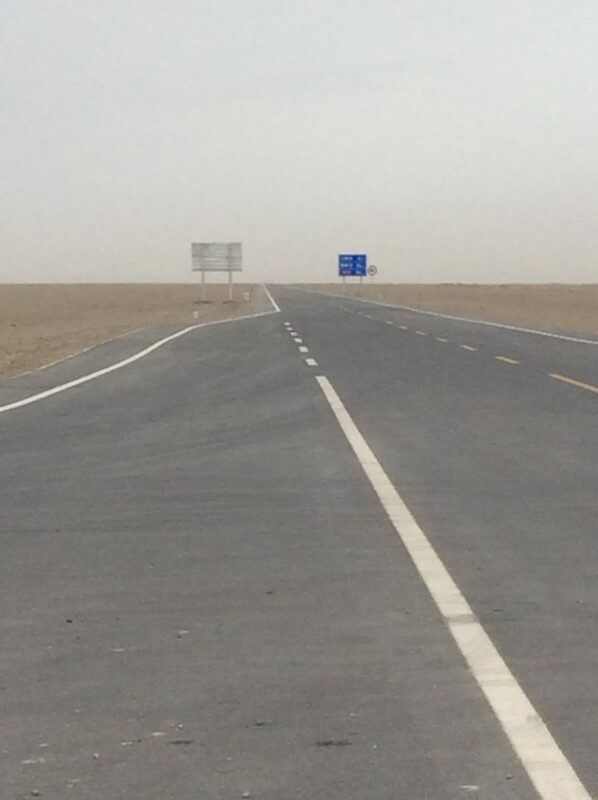 The seven-hour train journey from Zhangye (Gansu Province) to Turpan in the Xianjing “Autonomous Region” was another “experience” in this trip of so many experiences. 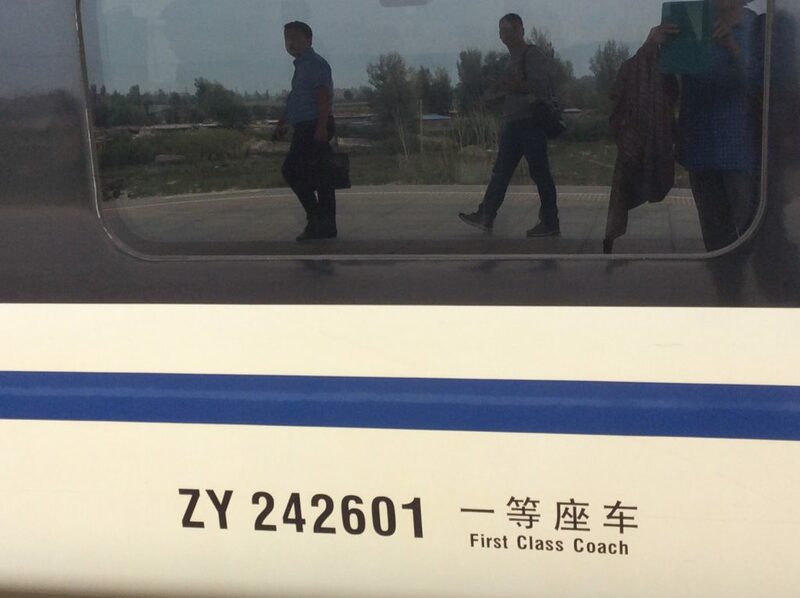 High-speed Chinese designed and made bullet train. Fast, smooth, clean and impeccably organised. The train stops for THREE minutes so you better be nifty getting on and off. 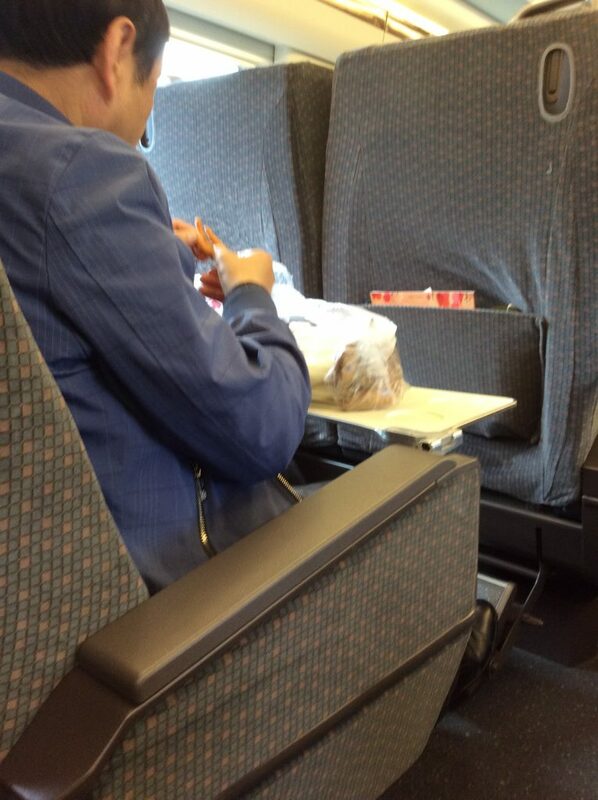 What could be a tastier picnic on a train than a bagful of chicken feet? This man and his wife tucked in with great relish and smelly it was!! 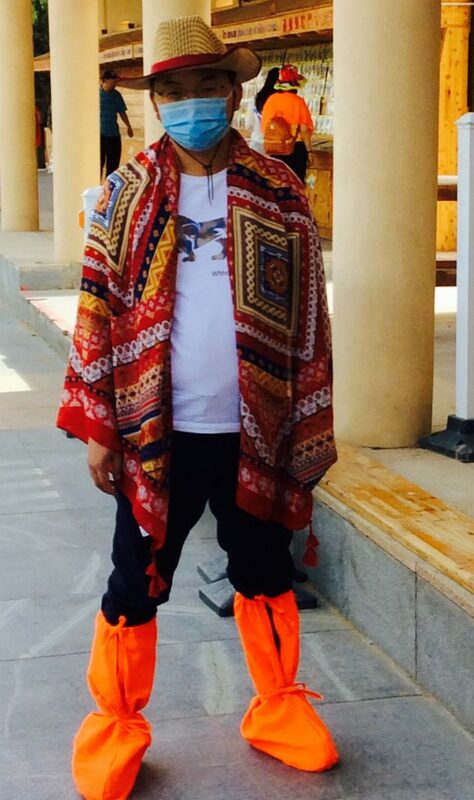 And yet more spectacular sights in Jiaohe the ruined city. A LONG, steep, very hot walk, but worth it. 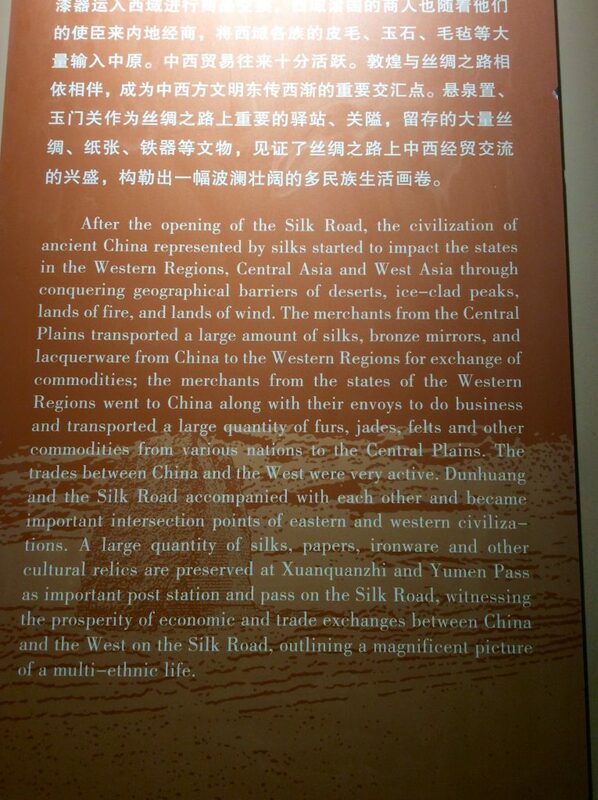 A little like Pompeii and teeming with happy, noisy Chinese holidaymakers more interested in the gift shop and snack bar (great watermelon) at the end of their trek than the wonderful remains of what was once a fine and prospering Chinese city. Extraordinary landscapes, loved seeing them. Fascinating! Loved to hear about it. Absolutely fascinating! I would love to go and see for myself as soon as possible!!! Fascinating & strange worlds. Thanks for taking us there! What an extraordinary trip, and so well written, I feel almost as through I had travelled with you, keep these essays coming, a great blog. Amazing Janice – what a thrill to read. Great pictures Janice. 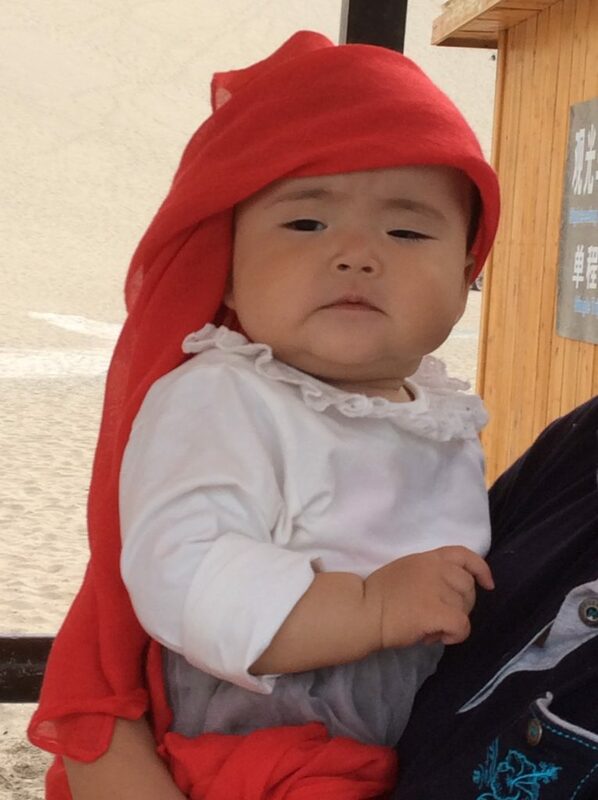 Reminded me of our 2 week trip to Xinjiang 9 years ago. 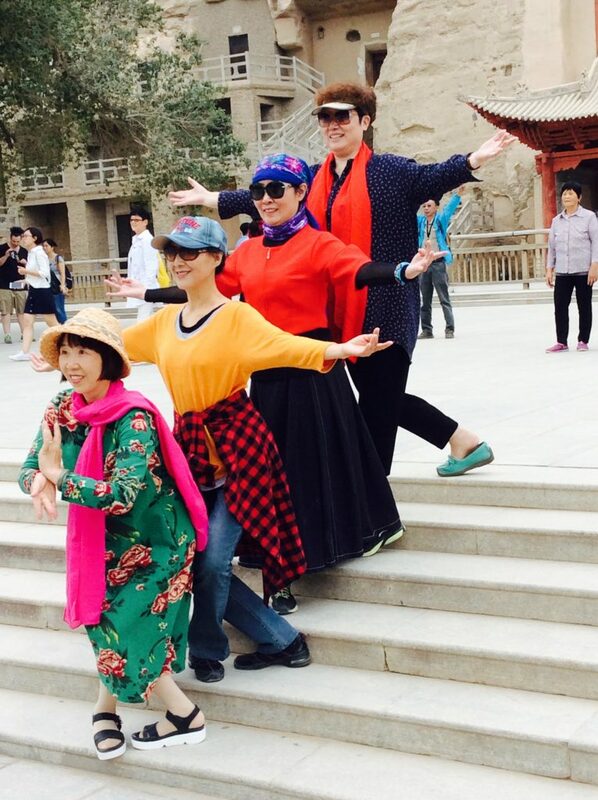 Looks like there are a lot more local tourists at Dunhuang now than there were. It is a spectacular place. 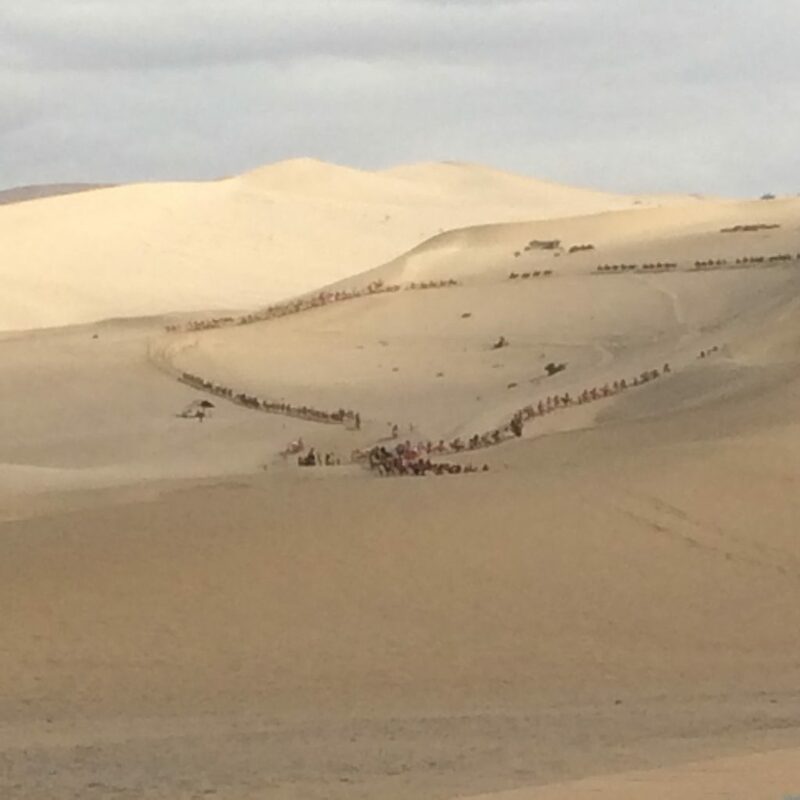 Loved the atmospheric shots of the desert which give a feel of the Silk Road.